18 to 65 years: Identify presence/absence of violence risk factors. The HCR-20 V3 is a comprehensive set of professional guidelines for the assessment and management of violence risk. Built on the solid foundation laid by Versions 1 and 2, the HCR-20 V3 embodies and exemplifies the structured professional judgment (SPJ) model of violence risk assessment. Commonly used within correctional, forensic, and general or civil psychiatric settings, both institutional and community-based. Allows you to determine the presence of 20 key violence risk factors in your client and their relevance to that client. 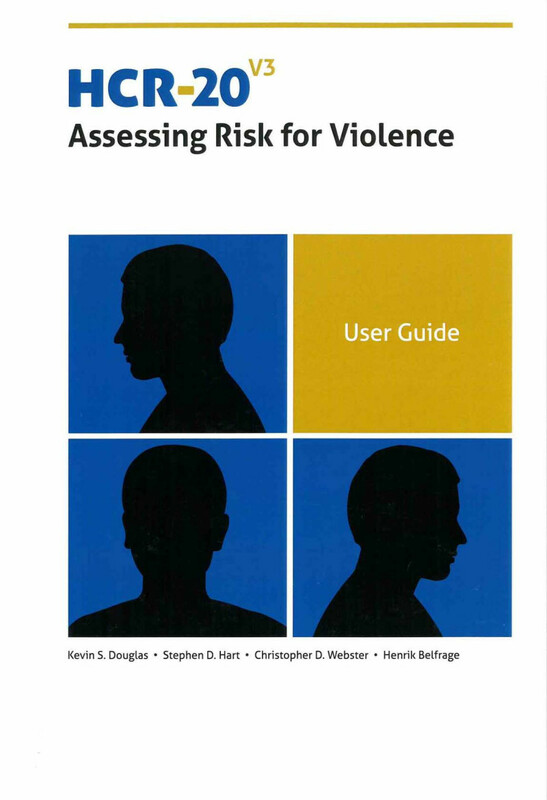 Contains information to help you construct meaningful formulations of violence risk, future risk scenarios, appropriate risk management plans, and informative communication of risk. Subjected to exhaustive testing and evaluations, this revision is expected to be even more clinically useful than its predecessor while still enjoying a solid empirical basis.